As part of Cayin’s 25th Anniversary in the Audio Industry, they have built a special edition amplifier to celebrate their success. 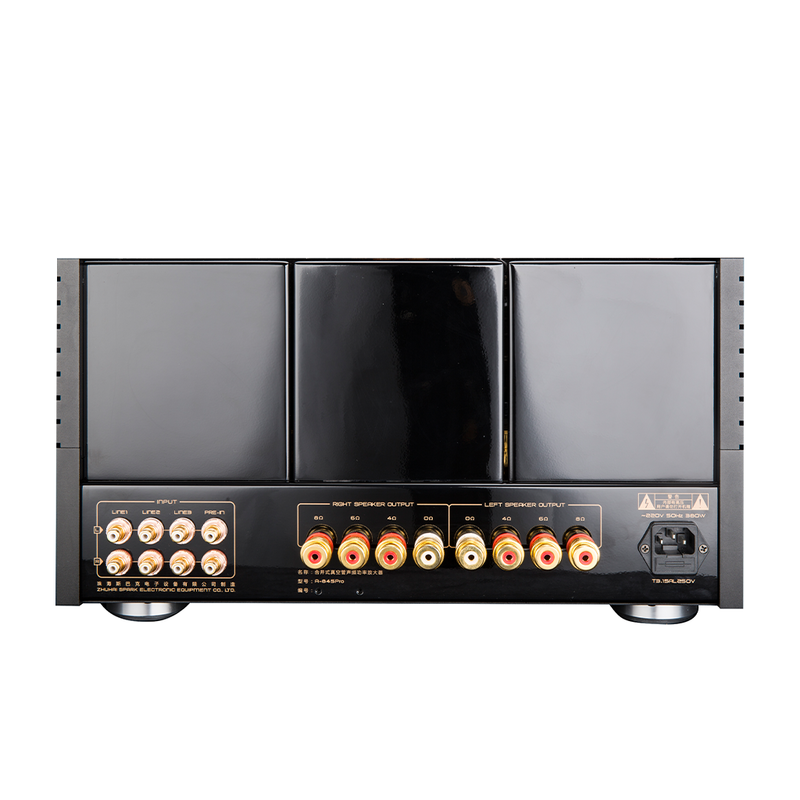 The A-845 Pro Integrated Amplifier is an absolute workhorse that culminates all of Cayin’s efforts to create and amplifier that is both aesthetically beautifully and musically enjoyable. Carefully selected Tung-Sol 6SN7GTB’s have been implemented for the voltage amplification, and this has given further enhancement to the soundstage and timbre. Bespoke Full Music 300B’s with Porcelain bases are used for the drive amplification, and this design topology (300B + 845) promotes the ultimate in sonic performance. 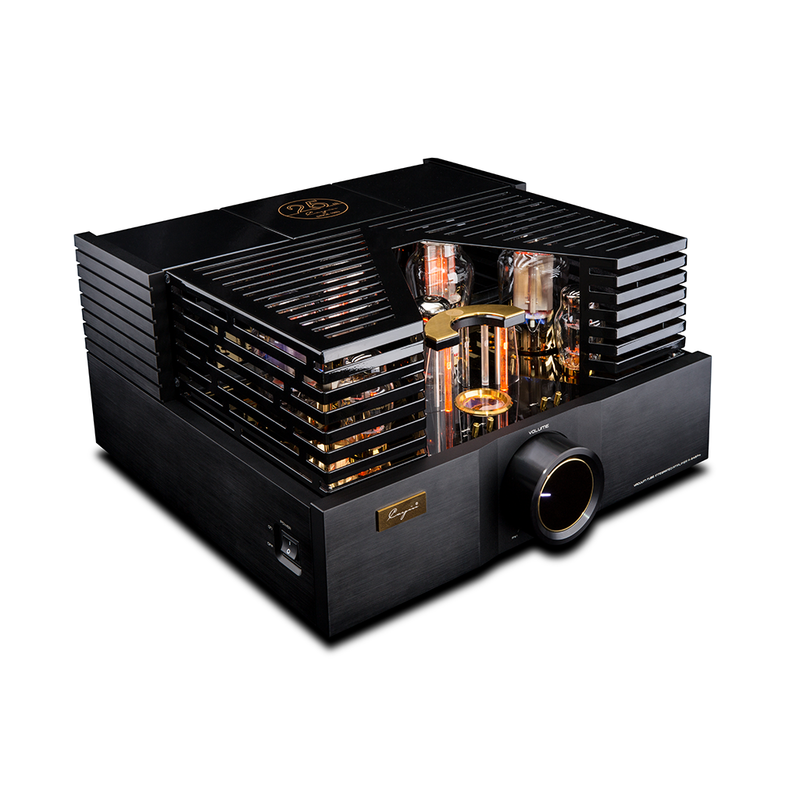 Exclusive Global Patent 1540 DIP fine-mesh has been used in the manufacturing of the 300B’s anode and together with the graphite plates in the Full Music 845SL, this design forms the fundamental infrastructure to the world class performance of this limited edition amplifier. High quality MUNDORF Mcap EVO Silver/Gold capacitors, combined with fine point-to-point wiring, generate clean connections for clear music reproduction. *This is a limited production amplifier, with only 249 units available worldwide, so don’t miss out! Please contact us if you are interested in making one these your own.